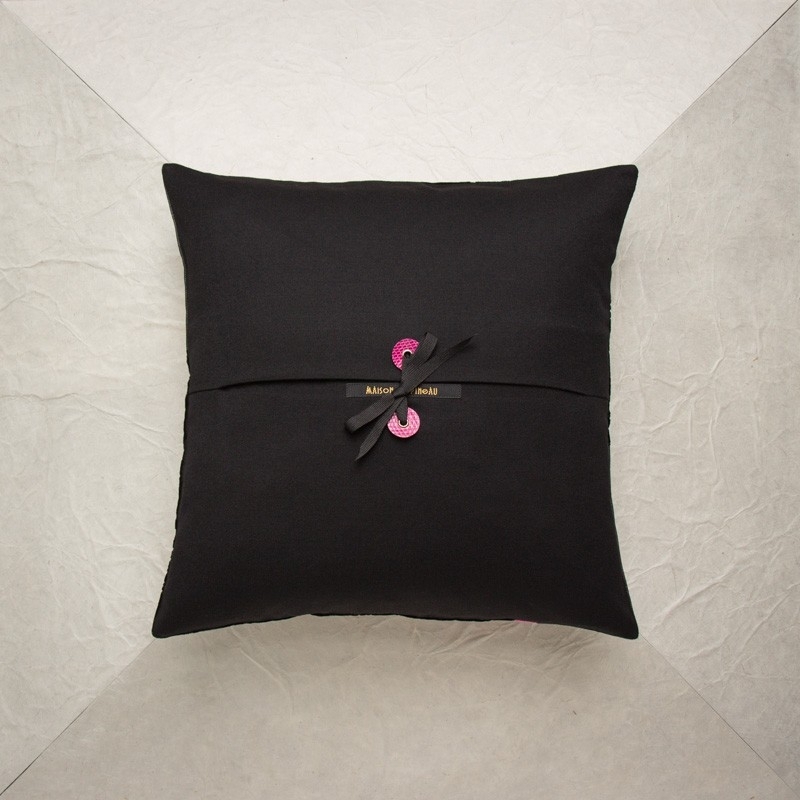 Exuberant Raymonde! 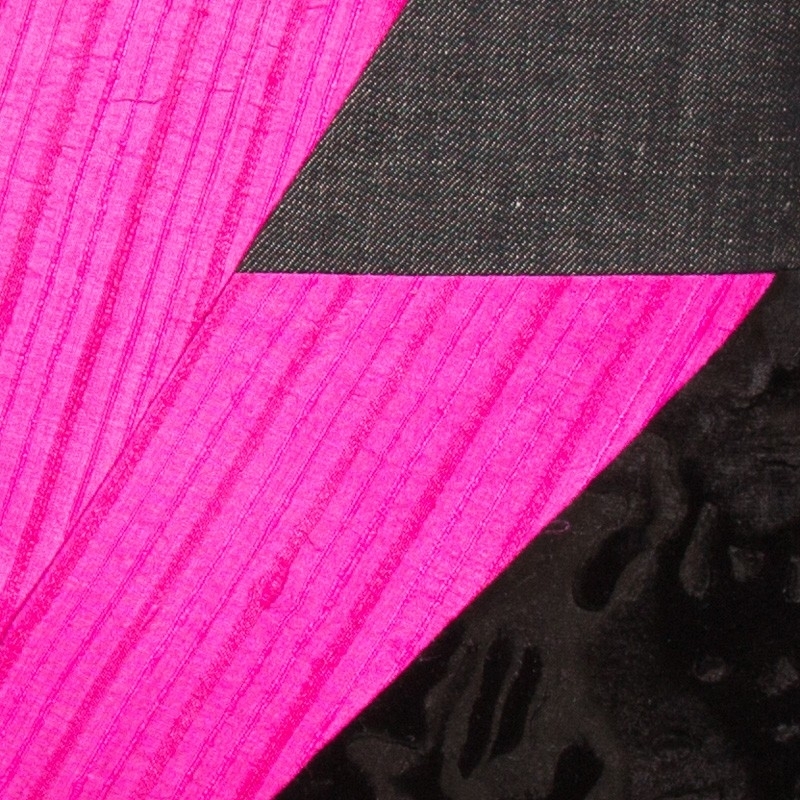 All in contrast and tonic color, the subtleness of strong personalities: amazing, surprising and so endearing! 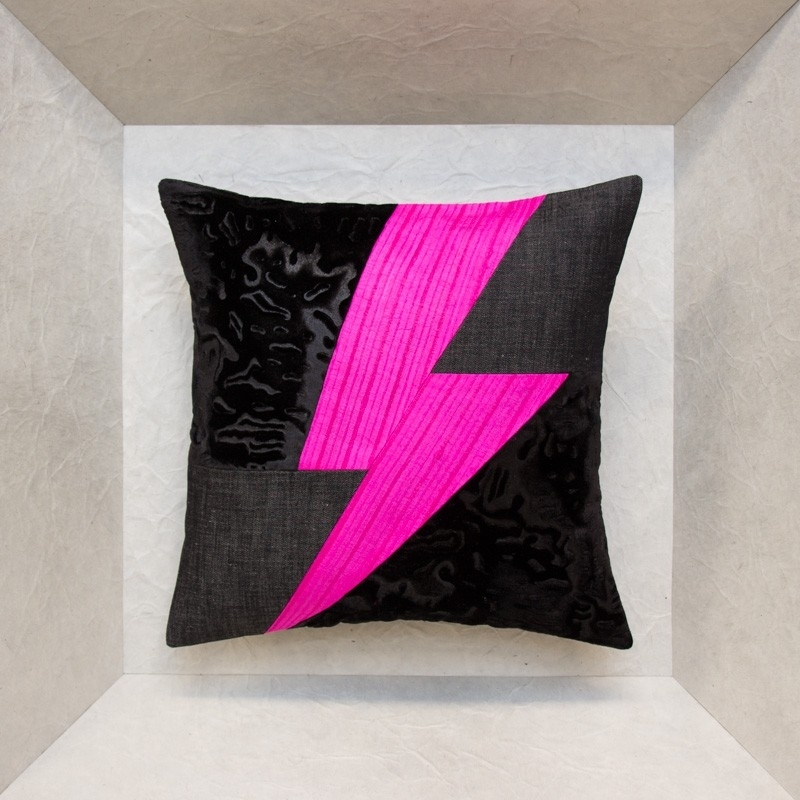 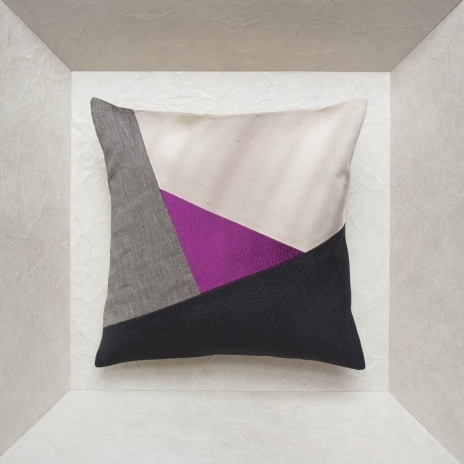 This very fashionable design cushion won't be alone for long in an armchair or on a sofa. On the front, embossed polyester printed moiré velvet, black cotton denim and pink fuchsia woven silk with a striped effect. 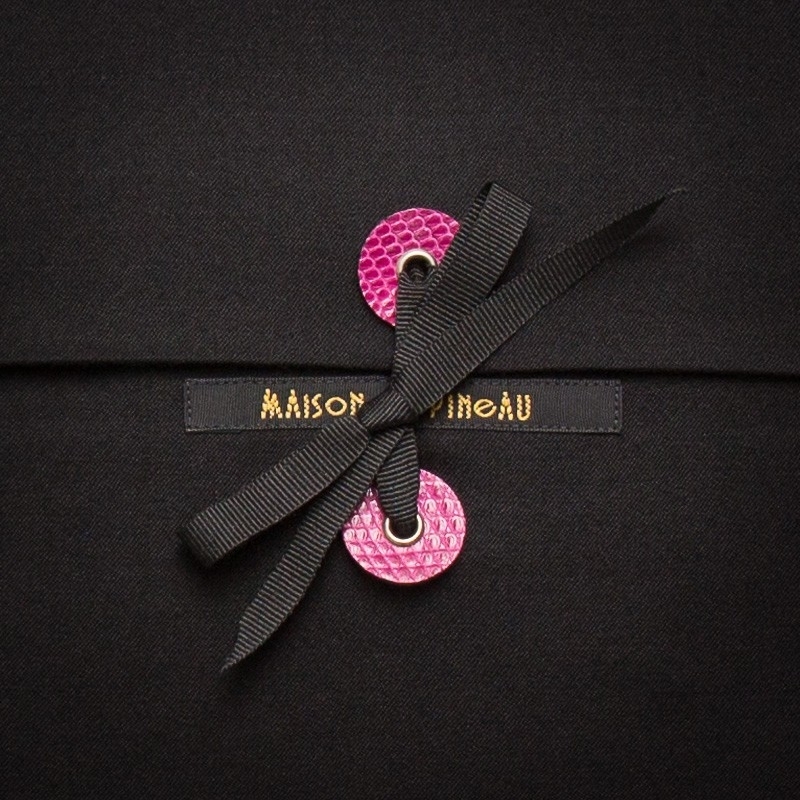 On the back, black cotton fabric and the Maison Popineau signature: two bright pink lizard leather tabs with silver grommets and a black grosgrain ribbon.